The Magic Apple has teamed up with internationally renowned magician, Tony Clark, to offer magic and illusion consulting services for TV, Film and Stage. Need to create a magic scene for a TV show or movie? Do you need your talent to better understand the sleight of hand movements to properly and convincingly perform magic in front of an audience or camera crew? Need to learn a trick for a music video? We can help. Do you want to make the C.E.O. of a company appear? We can do that. In fact, we can help you with ANY of your magical needs! Whether you want to perform something as small as a vanishing a coin or something large like a car vanish and anything in between, please give us a call and we will help!! 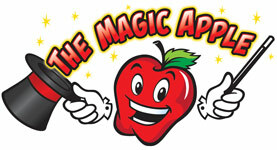 The Magic Apple is the ONLY magic shop in Southern California that offers these types of rentals and services! The Magic Apple also offers magic and illusion rentals for your TV or movie production, please follow this link for more information!